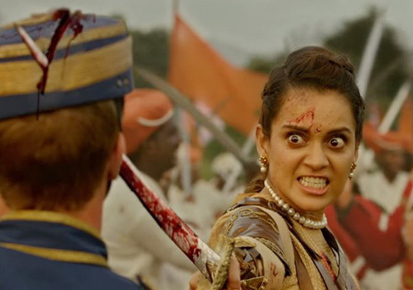 Since few days there was buzz on the exit of director of Krish and Sonu Sood from Kangana's Manikarnika. There were rumours that Krish exited as Kangana wants to direct the film and Sonu Sood didn't like to work under a lady director. But in a recent interview to some media houses during the release of Telugu version trailer, Kangana clarified on the rumours. She said that Krish has accepted another big project and as she didn't want to delay her project, she directed the remaining film to release as per the schedule. Krish might not open up on the film as he is more concentrating on his project, she added. She also said that Sonu Sood has commited to work for Simba for which he needs no beard but for Manikarnika, he needs to act with beard. Hence, he has opted out. She added that he could have acted with pseudo beard, but he opted to move out.